St Vincent and the Grenadines (SVG) will show support to Trinidad and Tobago, which was recently affected by torrential rain and floods, by donating the sum of US$40,000. According to a report carried in the Searchlight, Prime Minister Dr. Ralph Gonsalves made the announcement during his address at the 39th Independence Day celebration on Saturday. 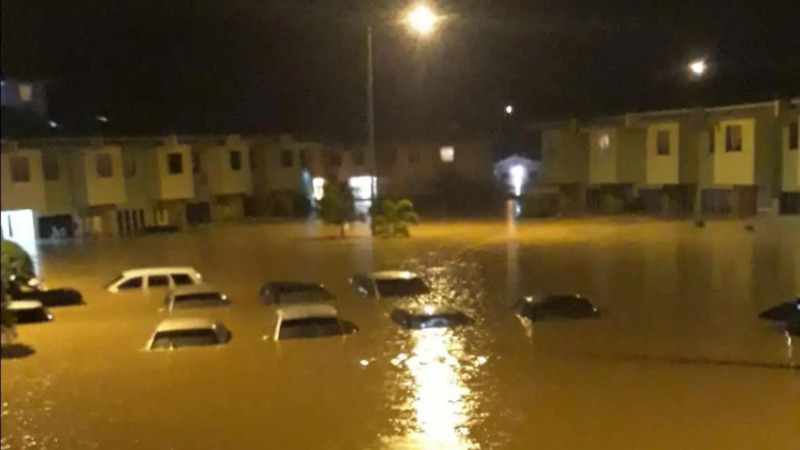 “Last week, our Cabinet approved the sum of US$40,000 as a mark of our solidarity with the people of Trinidad and Tobago consequent on the terrible floods which have recently afflicted them,” Prime Minister Gonsalves announced. The Prime Minister also mentioned in his speech that SVG itself has, between 2010 and 2017, lost over EC$700 million, a figure in excess of a third of our Gross Domestic Product(GDP), in damage caused by storms, heavy rainfall, landslides, raging seas and rivers. “The weather patterns arising from climate change are now unfamiliar in time, type, and seasonality; unprecedented in frequency and intensity; and thus urgent beyond measure,” he stated.